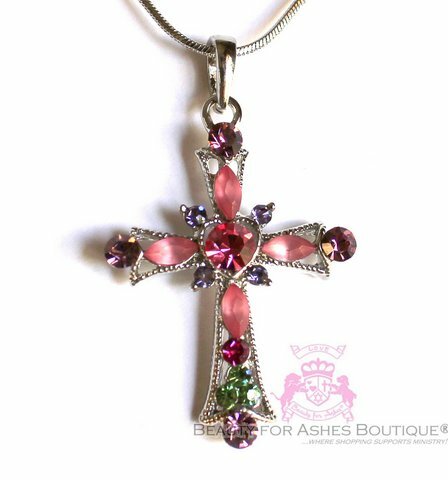 Pink Crystal Cross Necklace - Click on photo to enlarge. This gorgeous cross pendant shows Austrian crystals in amethyst, pink, fuschia, and seafoam green. Cross measures 1 1/2" . Snake chain is 18" in Silvertone Rhodium!